Five new maps are on their way to PS4 in early April. The next DLC map pack for Call of Duty: WWII was revealed earlier today. Five brand new maps will make up The War Machine DLC, which will be available first on PlayStation 4 on April 10. This DLC pack won’t include any remastered maps from previous Call of Duty titles, however. The War Machine will introduce three multiplayer maps, a War mission, and a new zombies experience for WWII fans to enjoy. 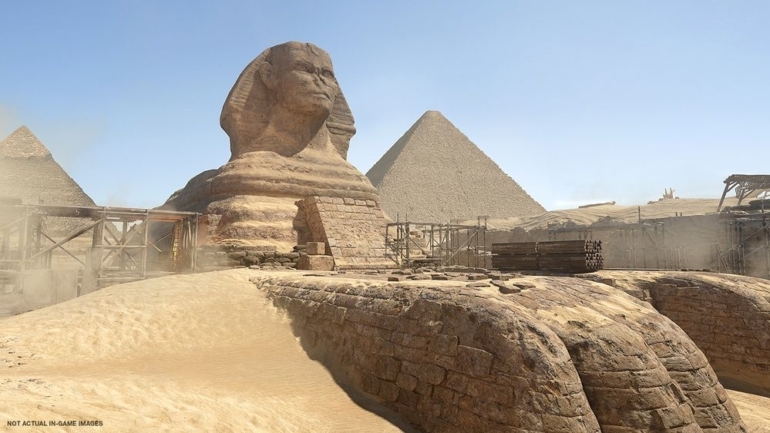 The three multiplayer maps include Egypt, Dunkirk, and V2. As the name suggests, players will battle it out around the Egyptian pyramids on Egypt. Dunkirk will bring players to “an iconic World War II battle” in France, while V2 takes place at a “rocket development and test site located in rural Germany,” according to Activision. Operation Husky is the War mission that will be introduced in the upcoming DLC. This mission is based on the Allied invasion of Sicily, as players will try to “retrieve intelligence on the locations of sensitive German targets in the ports of Palermo and Naples,” according to Activision. No gameplay footage was revealed with the announcement of The War Machine, but Call of Duty fans should be expecting a trailer for all of these new DLC maps very soon. The War Machine will be available for PS4 players on April 10. Update April 3 12:20pm CT: The first trailer for The War Machine was released today.